Anti gravity yoga at the incredible Four Seasons Sayan, Bali. WHICH YOGA RETREAT IS RIGHT FOR YOU? Hatha, vinyasa, yin, anti gravity, hot yoga...the list goes on and on. You can even do goat yoga these days. Yep, it's a thing. So how do you find the yoga retreat that's right for you? And what if you simply can't find the time to escape the kids. Does that mean you miss out altogether? If you're a parent, I know that doesn't sound very relaxing, but I've done several yoga retreats with my frequent small flyer and everyone benefits. Some places that run yoga retreats are however more geared up than others to accommodate families. Here are six yoga retreats varying in style, price and location. The one thing they have in common is they're pretty much all in fabulous places. Under each entry, I've rated the retreat according to the yogi it suits best and whether it's suitable for families. Have you done a yoga retreat? We'd love to hear all about it. *Best for: Yogis of all levels. Dodson can accommodate beginners and stretch those more advanced. Families welcome, although there is no supervised care so bring your partner or grandparents - you'll all have an incredible holiday. *Best for: Those that love a high energy yoga style. Having said that Strala Yoga is also fairly relaxed; it's all about doing do what makes you feel good and is not traditional in the least. You could do one of these retreats while your family holiday at a W resort, or better still get them to meet you afterwards when you're all Zen like. Four Seasons Resort Bali Sayan's phenomenal yoga bale made from sustainable local bamboo. *Best for: Yogis of all levels but pick the retreat and class that's right for you. This five star resort is also suitable for families with the fabulous Pici Pici Club, complimentary for 4-12 year olds. Childcare services and babysitting are available for a fee. 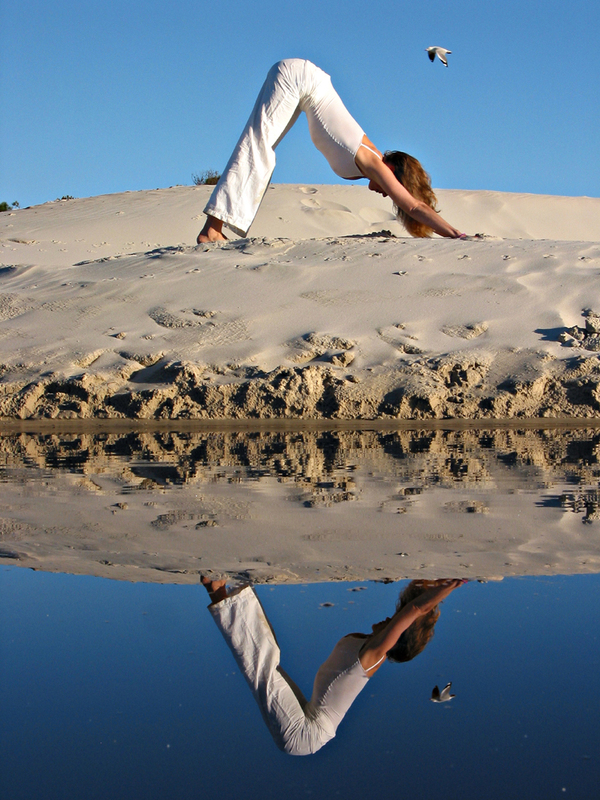 *Best for: Yogis (travelling sans kids) wanting a solid yoga retreat, but with the opportunity to try something new. Hula anyone? *Best for: Great for the yogi novice. Leave the kidlets at home. This is the place that finally turned me on to yoga thanks to my own private class with a sassy New York yogi that could not only bend like a pretzel, but talk to me about great food and coffee too. I loved her, and fell in love with yoga too. The phenomenal Kamalaya, on the southeastern tip of the island of Koh Samui, offers a year-round custom yoga program with private one-on-one sessions. Suitable for beginners and experienced yogis alike, daily sessions are tailored to the individual's skill level and goals. 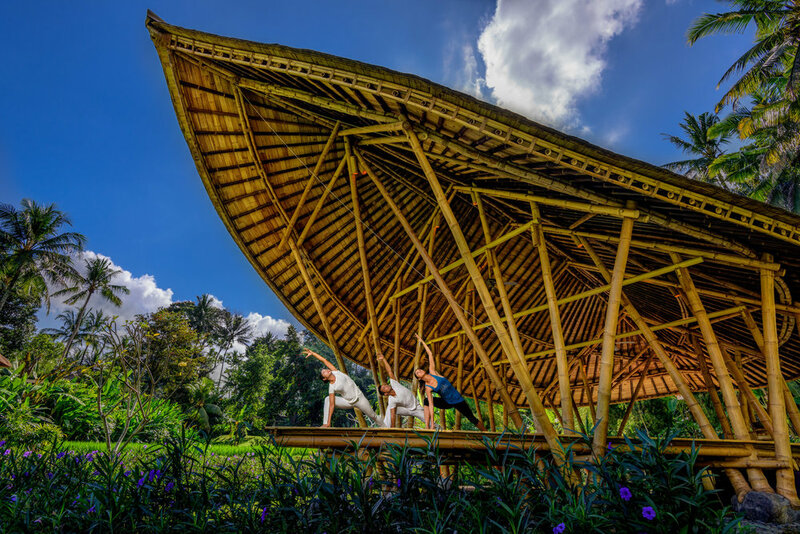 Classes are held in Kamalaya's incredible Hilltop Yoga Pavilion overlooking the South China Sea. Yoga practice is combined with holistic spa therapies, including Ayurveda treatments from experienced Indian therapists, five-star detox cuisine and full use of the resort's steam cavern, swimming and plunge pools, and fitness centre. Best for: yogis of every persuasion, with daily sessions tailored to suit your goals. You can do this retreat with your family. Just talk to staff when booking.